Flat 3,000 Off On Sony Models.Flat 3,000 Off On Sony Models. Amazing. phone and value for money. It has a very good camera sensor, pretty good processor. Worth buying in it&apos;s price range. I&apos;ve been a huge Sony fanboy and after using this phone, it seems like I am still. Even though no one else is buying Xperia, I want to point out some of the amazing stuff I witness while using it for about a month. I was able to click amazing shots in pro mode. The phone is very sturdy, solid and feels very premium. Sony still has the best display which is perfect for watching movies. 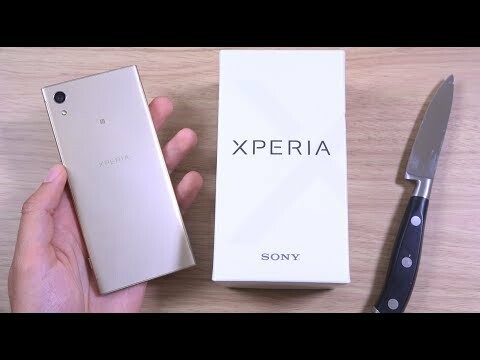 4 Pricebaba users have written their experience with Sony Xperia XA1. If you own Sony Xperia XA1, please do leave your feedback too. Lowest price of Sony Xperia XA1 price in India starts at Rs. 14,990 Sony Xperia XA1 is available on Flipkart at Rs. 14,990. Prices updated on 22nd April 2019. In April 2017, Sony launched a new smartphone in its mid-range series dubbed as the Xperia XA1 for the Indian market. The major selling point for this device is its metal body design and sleek bezels. In terms of design, the smartphone sports a metal unibody design which ships in three colour variants, viz. Black, White and Pink. The phone is pretty sleek and measures at a mere 8 mm in thickness. On the front, it features thin bezels and gunning at an overall borderless design. The screen of the handset features a 5-inch IPS LCD display panel having a resolution of 1280 x 720 pixels. This display is fairly moderate, however, at this price range, a Full HD display is the norm. In the camera department, it smartphone features a primary 23-megapixel rear-facing camera coupled with an LED flash for low-light photography. The primary camera sensor is a Sony IMX300 Exmor RS sensor having an aperture of f/2.0 aperture to capture vivid and colour accurate images. On the front, the phone has an 8-megapixel camera integrated that features a Sony IMX219 sensor having an aperture of f/2.0. Under the hood, the Xperia XA1 is powered by an octa-core MediaTek Helio P20 processor clocked at 2.3 GHz for four Cortex-A53 cores and 1.6 GHz for the other four cores. The device is also coupled with 3GB of RAM for a seamless experience. Sony ships the Xperia XA1 with 32GB of internal memory which is expandable up to 256GB through a microSD card.